Facebook’s new meme hub: Can it LOL its way back to the hearts of teens? Facebook is looking to launch a feed of memes called LOL in a bid to target the younger generation of users. The memes comes in the form of videos and GIFs. In a statement to Marketing, a Facebook spokesperson said that the team is running a small scale test and the concept is in the early stages. Facebook declined to comment on which markets the new offering will be launched in and the reason behind the launch. The social media giant also did not comment if the move was done in a bid to connect with the younger generation given eMarketer quotes Facebook’s core demographics as 18-29 year olds, followed by 30-49 year olds. But the teen segment has been a tough segment for the social media giant to crack and eMarketer said that a study in February 2018 showed that in 2018, there were 11.5 million people in the US aged 12 to 17 on Facebook, down from 12.1 million in 2017. By 2022, the number of Facebook users in that age bracket will drop to 9.3 million. 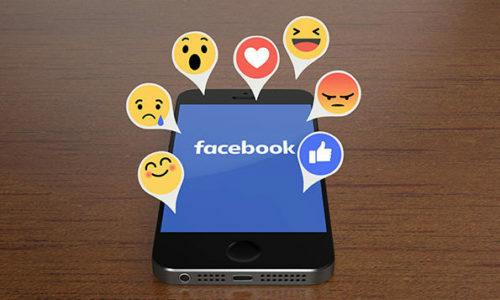 Jeffrey Lim, general manager at Carbon Interactive Singapore, told Marketing, that amongst the youth, Facebook is facing the issue of no longer appealing to the youth as the “cool” platform to be on. Lim added that it takes more than functions and features to fix that issue. He added that brands can stay “cool” and relatable by staying true to its vision, as well as articulating that vision to users to buy into it. After which, it moves on to the consistent quality of the product that supports the vision. “In Facebook’s case, I think it’s about going back to the fundamentals of giving people the power to build a community. Is Facebook more about advertising revenue or is it about giving its users more control to connect and communicate? How would Facebook evolve while keeping its DNA? The answer to this would likely inspire or draw the younger generation which is all about authenticity to use the platform, to socialise within the platform and to be entertained in the platform,” Lim said. Agreeing with Lim was Jan Mascarina, senior internal marketer, Construct Digital who said that the social media giant built itself the reputation for being the “old” social network among youths entering app-readiness age. He added that fighting this brand perception, just as how Snapchat tried to fight perceptions of itself being a service geared for youths with adults, will prove to be “challenging”. Ultimately, it is what Facebook does with LOL that matters. Mascarina said that the speculations around the new feature is similar to the 9gag site which the younger generation is appealed to. “One of the appeals of pages and platforms such as 9gag, is that it is community driven. Hence, LOL could come across as a cheap and inauthentic, automated copy of that. Unless there is something fundamentally new up their sleeves, there isn’t really a strong USP at play here. It could wind up as yet another try-then-shutter venture to appeal to youths,” he added. What he did laud Facebook on however is its Instagram platform and its Stories feature.”It makes more sense to instead capitalise on this audience, instead of introducing yet another segment-fragmenting feature/platform that could inadvertently cannibalise the market dominance that Instagram currently enjoys among youths,” he said. Meanwhile, Michelle O’Brien, planning director at Digitas said that the cause of the decrease in Gen Z using Facebook is preference shifting. This shift comes from in-feed content consumption and posting to live content consumption and posting. From influencers to friends, Millennials curate these “perfect” lives on Facebook and Instagram. “But with Gen Z, there is a desire to move away from a fake, celebrity-like, culture to view more authentic, real content. And it doesn’t get more real than live,” she added. According to O’Brien, users use Instagram for live stories, compared to posting on feeds. “It’s more raw, fluid and real. So, while a feed of amusing content may be able to hold their attention for a few bored minutes it’s not getting to the route of the behavioural reasons Gen Z no longer want to spend time on the platform,” she said. The partnership leverages the rise of tourism in the Southeast Asian country and aims at Hong Kong, Taiwan and Southeast Asia trav..
Wildlife Reserves Singapore's new campaign brings the zoo to the city. ..
Brands can no longer create a ‘one-size-fits-all' marketing plan in targeting Malays, with the assumption that all Malays are gene..